A telling comment of the content of most tweets? ACTOR and comedian Steve Martin may have immortalised his Twitter musings in print, but now you can get yours printed on paper too, toilet paper that is. 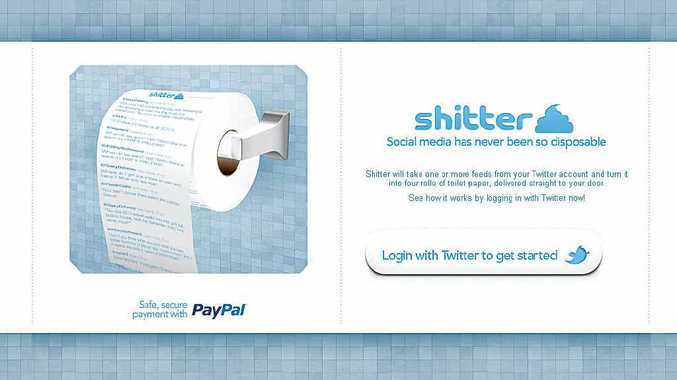 Comically named printing company Shitter offers to print your Twitter feed on to four rolls of toilet paper and deliver them to your house. Whether or not you use the paper for its original purpose is up to you. The company's motto, according to its website, is: Social media has never been so disposable.